SOLAR FIRE V9 is an exciting culmination of years of hard work and creativity. 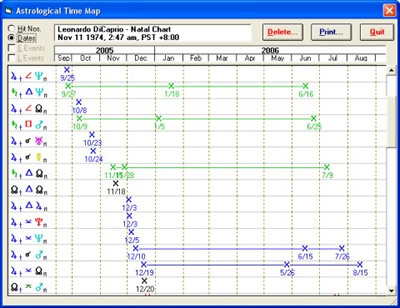 This astrology program for Windows was first produced in 1992 and has been expanding ever since to become a world leader. Earlier versions brought an unprecedented level of ease to casting and working with astrological charts. The current version adds many more calculations, extra convenience features, more interpretive text, and exciting new kinds of graphic displays. SOLAR FIRE V9 contains something for everyone. For Advanced Astrologers and professionals, it has a great variety of high-precision astrological calculations, and an exceptional degree of user-customisation. For Novices, its innovative point-and-click chart interpretations provide an enjoyable way to learn, and its many easily-explored options are an invitation to experiment with new techniques. SOLAR FIRE is designed to provide easy access to high quality chart production – easy in the Windows environment. SOLAR FIRE V9 uses state of the art planetary calculations from the highly accurate Swiss Ephemeris. You can create charts galore. Why the loyal following? It all begins at Solar Fire’s main screen, which makes the most of Windows visual and easy-to-use environment. Immediately you feel a certain calm and order, a restful respite from information overload. And yet, somehow, it’s all there. You can immediately see the current state of the program and what charts and options are currently selected. In addition, every one of the huge array of program functions is accessible from this deceptively simple main screen’s menu bar. How did such awesome power get packed into so simple and easy an interface? The secret is consistency and thoughtful, careful planning. The data files that Solar Fire® uses are simple, straightforward and, most importantly, similar to each other. This means that once you learn how to select an aspect set, for example, selecting any of the myriad of other options is pretty obvious. Entering the place, zone, latitude and longitude also couldn’t be simpler, because Solar Fire® comes with the built-in ACS International Atlas. Just type in the data and place and the latitude, longitude and time zone are automatically looked up for you. Once saved, a chart is simple to find, because of a number of thoughtful touches. You can group charts into any number of files – files for you, your family, your first-time clients, your ongoing clients, your research projects or books. In addition to the file name, you can write an 80-character description of what’s in the file; this appears on the screen to jog your memory each time the file is selected. Even though a file can contain more than a thousand charts, you can locate a chart quickly by typing the first few letters of the name, or re-sorting the file into various alphabetical orders, by date of birth, or by when the chart was added to the file. And if you don’t remember which file a chart is in, no problem – Solar Fire® will look for the chart in all your files at once. Files are easily reorganized by moving, copying, deleting and editing charts. Plus, for every chart you store, you can keep unlimited comments that you can read and edit whenever the chart is selected. WHEELS – PLAIN AND FANCY: Solar Fire® lets you change the appearance of the charts. You can assign any color that your computer screen offers to each individual planet, sign and aspect type. You can pick unusual fonts for the birth data and ‘Compliments of’ text. And you can pick from an exciting new array of wheels, from maximally readable to maximally colorful and exotic. In case none of these wheels suit you, Solar Fire® has a unique, innovative Wheel Designer that lets you easily design your own. Let’s face it: most of us don’t need 200 wheels, we just need a few that we like. Using the Wheel Designer, you can have the fun of changing the size and number of circles and charts on each wheel, the line style, cusp style, placement size and type style and dozens of other attributes, and really create the wheel of your dreams. The neatest thing about it is that you can see the changes take place as you make them. No waiting and no unpleasant surprises! You can also choose from an array of page designs to suit your needs. Take your pick from a range of high-quality page layouts or design your own page complete with unique wheels, reports and even your own logo. You can find a page to suit your needs whether you are a horary, medieval, psychological or esoteric astrologer. Astrological publishing has never been this easy. CHART ART GALORE: Our team of Solar Fire® designers and artists has added a range of 110+ Chart Art to create beautiful back-drops for your chart work. See our beautiful array of designs by Celine Lawrence (designer), Kay Steventon (artist), Hank Friedman (artist) and Eila Laurikainen (designer) and then choose your favorites. Since first releasing our Solar Fire Gold we have added new Chart Art with themes – Love Art for Relationship Astrology Work and Child Art for children’s charts. So please make sure that you update with our dynamic software. 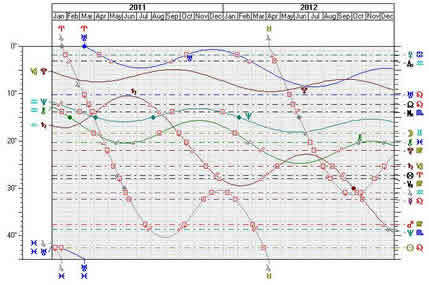 SOLAR RETURN CHART ART: We have exciting news with a brand new set of Solar Return Chart Art. This is a thrilling new concept straight from the desk of a working astrologer in association with a graphic designer. The Solar Return Chart Art is a set of 12 illustrated templates with a brief interpretation of the Solar Return Sun in each House. These colorful pages can be printed out with a current Solar Return of a client, friend or family member. The background colors for each page graphic are in keeping with traditional house colors and the brief keyword text has been written by a professional, working astrologer. 50 Standard Points are available throughout the program. These include Sun through Pluto, North and South Lunar Nodes (mean or true), Part of Fortune (fixed or different day/night), Asc, MC, Vertex, and Equatorial Asc (“East Point”); Earth, Chiron, Ceres, Pallas, Juno, Vesta, Hygeia and Astraea; 8 Uranian planets, Transpluto, Vulcan (D. Baker or L.H. Weston version), and the Black Moon Lilith (mean position). Also included are points such as Eris, Sedna, Selena (White Moon), Polar Ascendant and much more. You can include any or all of these points in the main ring of wheels and in virtually all other calculation options of Solar Fire. You can create and save different point sets for different uses, and in Solar Fire’s lists and tables you can have the points arranged in the order that you prefer. PLEASE NOTE that not all 50 points have interpretations for planet/point in sign/house, etc. ; only those points specified below under Interpretations are delineated in the natal, transit, progressed, synastry and other interpretive reports. 30 House Systems include Placidus, Koch, Campanus, Meridian, Morinus, Porphyry, Regiomontanus, Topocentric, Whole Signs, Alcabitius and Hindu Bhava. There are also equal houses from the Ascendant; equal with the Ascendant in the center of the 1st; equal with any planet, the lunar north Node, the Part of Fortune, the Equatorial Ascendant, 0° Aries or 0° of the Sun sign on the 1st; and equal with the MC on the 10th or the Vertex on the 7th. Houses can be calculated for geographic or geocentric latitude. In addition, Gauquelin sector positions are available in tables and in the chart and electional searches. The Part of Fortune Whole Sign System has been added to Solar Fire V9. Fantastic Aspect Support: 26 predefined aspects for the first 12 harmonics (conjunctions through semisextiles, plus septiles, noviles, undeciles and their multiples), and also parallels and contraparallels. Each predefined aspect has its own glyph, and can have its own color and line style. You can also define additional aspects with their own arc widths, orbs, colors, line styles and alphabetical symbols. You can set different orbs for natal, transiting and progressed use, and different orbs for the luminaries vs. other points. Or, you can create different orbs for each individual pair of points by choosing Solar Fire’s “planet ratio” orbs. Other available ways of doing aspects include moieties, unidirectional, sign-to-sign, and “3-D” (off-the-ecliptic) aspects. You can create and store an unlimited number of different aspect sets for different purposes. ENCYCLOPEDIA: We have taken the best of Devores’ Encyclopedia and added our own new definitions to make up the Solar Encyclopedia. Students of astronomical cycles will like the ingress, lunar-phase, rise/set, and return charts. Returns can be for any planet or asteroid, or to any specified point in the zodiac, and you can do a whole string of returns automatically from one input. You can also find ingresses and eclipses in the dynamic search option, and can create custom ephemeris pages for any period in history. BIRTHDAY POP-UP REMINDERS: Now you can select friends, family and clients’ charts for a special pop-up birthday reminder! Every day that you open your Solar Fire® your selected reminders will pop-up and jog your memory for the birthdays of clients, family and friends. CHART DATA: 3000+ Rodden-rated charts in new chart categories including Adventure, Art & Design, Business, Crime & Infamy, Esoteric, Fashion & Society, Horse Racing, Literature, Media, Military, Music & Dance, Politics, Religion, Royalty, Science, Screen & Stage and Sports. 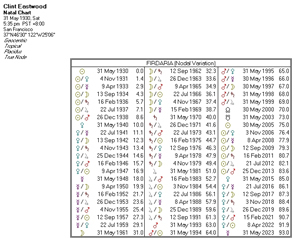 ASTRODYNES (also known as Cosmodynes): Astrodynes can be viewed and printed in the new Report View tabulation list and have also been added as 8 different page objects. These can be added to a page using the Page Designer. 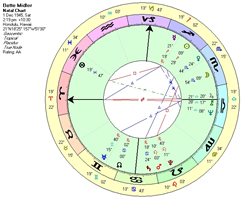 Natal, Synastry, Transiting, Progressed, and Firdaria Interpretations by Stephanie Johnson. You can get pop-up interpretations of individual aspects and other factors by clicking on planets and other items in the chart wheel or hitlist. You can also view, edit and print complete multi-page reports through your favorite word processor. If you wish, you can put your own stamp on the interpretations by rewriting and adding to the text database itself. Alice Portman has added comprehensive Vertex interpretations to the Natal interpretation file. UK Astrologer Julian Venables has also written Midpoint Interpretations exclusively for Solar Fire®. And world-renowned Sabian expert Lynda Hill has written Sabian Oracle and Sabian Natal Interpretations text. 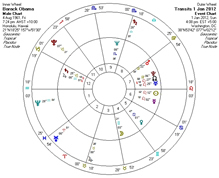 Solar Fire’s 25 – 50-page Natal Report includes short paragraphs about a very wide variety of factors — not only planets in signs, houses and aspects, but also in degrees (Sabian Symbol and Ebertin-style medical meaning), decanates, elements, modes, quadrants and hemispheres. There is also text about house cusps, dispositors, rays, and lunar phases. Also, there are now Sign and House interpretations for Chiron, Eris, Sedna, Selena and the 6 standard asteroids, and aspect interps for Chiron. This report is updated with each new version becoming more and more comprehensive. In the latest Solar Fire text for the Vertex has been written by Alice Portman, an Australian astrologer and expert on this subject. The Solar Fire interpretations text is continually updated and improved for your enjoyment. You can find all types of information by clicking on the Chart’s Displayed Points or producing a report in your word processor. These reports can be sold or given to your friends, family and clients however we recommend you edit them first as they have been written for astrological edification. The 18-page (approx) Synastry Report is a comprehensive interpretation of the relationship between the planets in two people’s charts. It is written mainly from the perspective of a romantic attachment, but can shed light on other types of relationships. 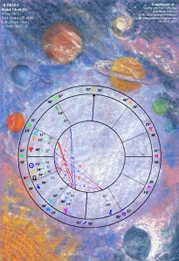 Solar Fire also contains comprehensive interpretations reports for Transits and Progressions. These are designed to outline the energies at any given time. Aimed primarily at astrologers, they can also be given to clients (with some editing). If you are a fan of Midpoints then you may enjoy the interpretations by UK Astrologer Julian Venables. The Solar Fire® creators always welcome contributions to our much-loved astrology software. Years of expertise make this program a welcome addition to any astrologers’ tool kit. A Firdaria report is also contained in Solar Fire®. This ancient tradition is based on “periods” of time being ruled by different planets. The Firdaria report is available as a single interpretation for the current period (approx one page), as a report for the Previous, Current and Next period or for a lifetime. Sabian Interpretations are also available in the form of a handy Oracle and for your Natal Chart work. These interpretations have been written by world-renowned Sabian expert Lynda Hill. The latest Solar Fire V9 now contains brief interpretations for both Solar and Lunar Returns written by Stephanie Johnson. 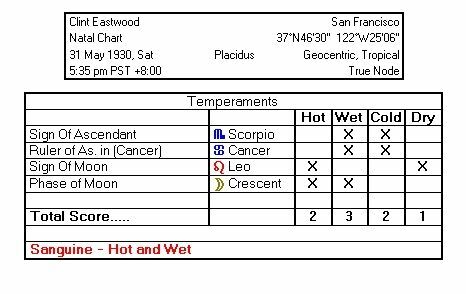 Click below to see samples of the Solar Return report and the Lunar Return report. 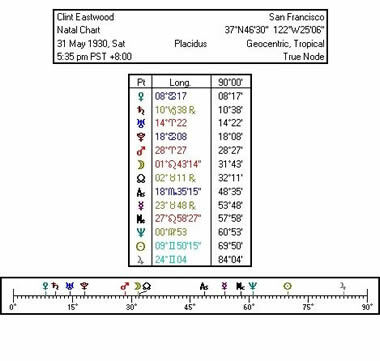 PREDICTIVE ASTROLOGERS can make sense of mountains of timed hits, thanks to Solar Fire’s Time Map graphs, graphic ephemeris and its great sorting capabilities. Besides sorting timed hits in the usual chronological order, you can sort with the slowest-moving transits first. Or, try grouping natal points to see how each is affected by transits during the period. Or, put exact and leaving hits upfront with the entering hit to see the whole course of each transit as it starts. Or, sort transits, progressions, directions, ingresses, stations and eclipses into separate sections. Dynamic lists have the same advanced options (tertiaries, minors, quotidians, Bija correction, etc.) as individual charts, and there’s a full selection of return charts, including precession-corrected and converse. Also note our new calendar complete with short text. DYNAMIC REPORTS: Such a simple addition but such a welcome one is the ability to define your own dynamic report columns and now include AGE. Now you can see aspects already in Orb at the start of each report. This means that long term transit hits are always visible in the report, even if no E/X/L event occurs during the report period. Our Dynamic events now always have the highest accuracy possible, including for large time steps. Auto DST adjustments are now applied to report events and a timezone column added to show which timezone applies to each event. CALENDAR:See your personal and/or daily transits and interpretations in our elegantly designed calendar. You can easily and quickly display any dynamic report in calendar format, for a day, week or month at a time. 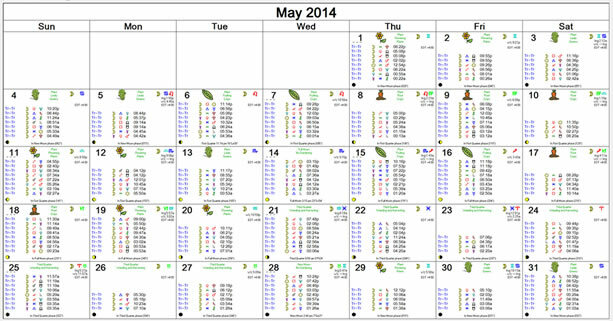 You can print your Solar Calendar or email it to your family, friends or clients. Your interpretations can be shown as popup hint bubbles or as a separate report. 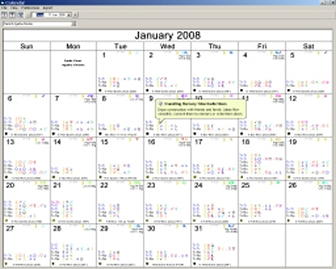 The calendar can also be produced as a PDF file and then easily exported as calendar events into other calendar programs such as MS Outlook, or any other calendar applications that are compatible with the iCalendar or vCalendar formats. 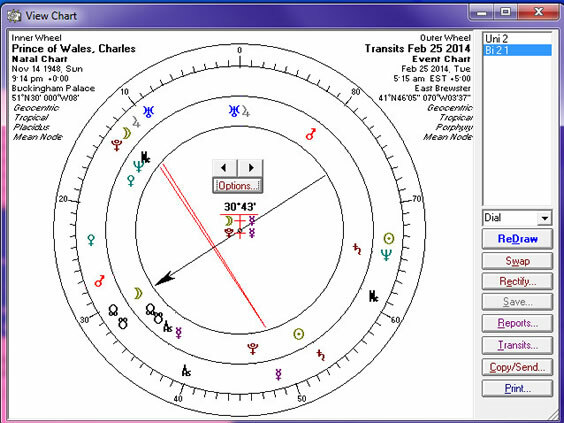 Transiting Charts: Direct or converse, tropical, sidereal or precession-corrected. Progressed Charts: By secondary, tertiary (mean or true), minor or user rate. MC progressed by solar or Naibod arc in either longitude or right ascension, or by Q2 (“daily houses”) rate. Progressed day type may be standard or Bija. Can also be direct or converse, tropical, sidereal or precession-corrected. Directed Charts include solar, Ascendant, Vertex and user-defined arcs, and these can be direct or converse, with whole, half, double or reverse arcs. 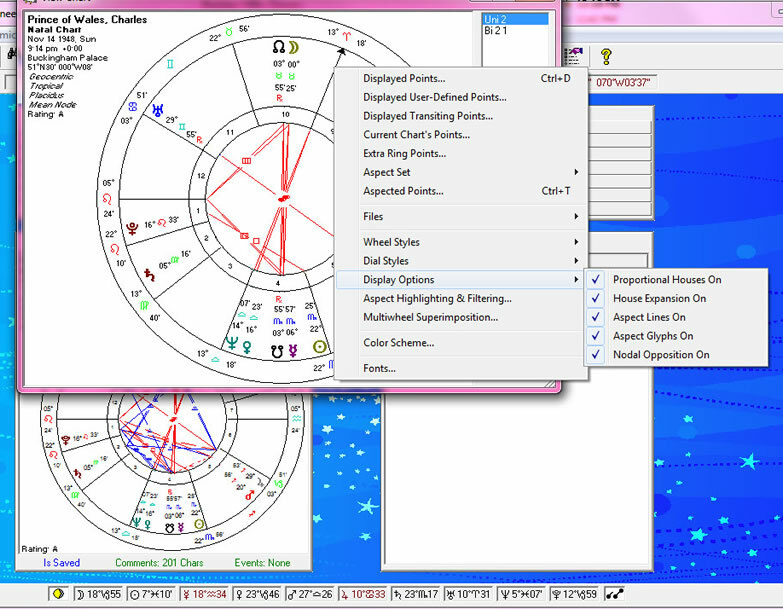 You can view any forecasting chart either by itself or in a multi-ringed wheel along with the natal and other charts. You can also cast forecasting charts with extra points and view them using Solar Fire’s extra-points wheel rings and tables. Return Charts include returns of the Sun, Moon or any planet or standard asteroid to its natal or any other specified position. Returns can be tropical, sidereal or precession-corrected; direct or converse; full, demi, quarti, or any other harmonic; and you can do a whole string of returns from any starting date. Other types of return include progressed solar returns and Wynn Key Cycles. Lunar-Phase Charts include progressed and transiting lunar phases, eclipses, phase returns, and Pessin lunar phase families. Age-Harmonic Charts create a harmonic chart for a given moment in someone’s life from the person’s exact age at the time. You can do these for the person’s age, or age plus one year. 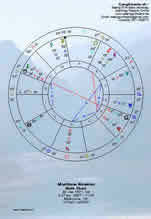 You can view any forecasting chart either by itself or in a multi-ringed wheel along with the natal and other charts. You can also cast forecasting charts with extra points and view them using Solar Fire’s extra-points wheel rings and tables. Animated Charts let you put natal and forecasting charts on the same multi-wheel, and then click forward or back in time to watch the changes in the transiting, progressed and/or directed (and even profected) planets and aspects. Solar Fire’s aspect highlighting feature makes the changes even more dramatic, thickening an aspect line as the aspect builds in intensity, and then changing it to a broken line as soon as the aspect separates. Not only can you animate chart wheels, you can also animate aspectarians and even whole pages in order to watch their tables of dignities, arabic parts, rays and a lot more change through time. You can also animate dials, get point-and-click interpretations, and print out any chart that you see on the screen. This simple and direct way of looking at charts could well become your favorite way to forecast. Dynamic Hit lists are extraordinarily flexible and complete in Solar Fire®. You can do transits (to natal, transiting, progressed or directed positions), progressions (secondary, tertiary, minor and user-defined, to natal or progressed positions), arc directions (solar, Ascendent, Vertex or user-defined whole, double, half or reverse arcs), sign and house ingresses, stations and eclipses. You can also include parallels of declination or latitude, primary directions (Van Dam Primary Mundane / Primary Zodiacal options, Placidus or Regiomontanus methods for computing directions, New rate keys, Classical or Modern definitions of Converse), annual profections, and void-of-course Moon times. You can do any of these by themselves or mix them in one timed list, and you can gain even further flexibility by merging hit lists. As points, you can include both moving and natal asteroids, hypothetical planets, midpoints, and even the moving Asc, MC, Vertex and Equatorial Ascendant. Plus, as natal points you can include intermediate house cusps, Arabic parts, and any fixed points that you specify. You can use different point sets for transits, progressions/directions and the natal chart, and can use different aspects and orbs for transits vs. progressions/directions. Other choices include natal or relocated; geo or helio; tropical, sidereal or precession-corrected; regular or converse; and timing to either the day or the minute. Once you set up all your selections for a given purpose, you can name and save them for future use. Once a hitlist is calculated, Solar Fire’s sorting capabilities help you to make sense of it. Besides sorting timed hits in the usual chronological order, it’s useful to sort with the slowest-moving, most important transits first. Or sort by natal points to see how each factor in the chart is affected by the transits during that period. Or sort by the moving point to see what each moving point is doing to all the planets in a chart. Or group entering, exact and leaving dates together to see the whole course of each transit as it enters orb, perfects and separates. Or sort by type of aspect. Or sort transits, progressions, directions, ingresses, stations and eclipses into separate sections. For more information about a hit, you can click on it to see other instances of the transit, a paragraph of interpretation, or a full chart wheel for the moment. Dynamic Interpretation Reports: In addition, for the entire period covered by the hit list, you can view and print a multi-page transiting and/or progressed interpretation report. You can also copy just the hits themselves to a word processor or spreadsheet, where you can edit them, manipulate them in tables, etc. These reports aren’t intended for batch processing and commercial applications, but they’re great for getting your interpretive juices flowing, promoting your services, and giving to a client as an extra along with your consultation. And for beginners, they’re an easy and pleasant way to learn astrology. “Time Maps” show the whole hitlist in graphic form. Using a horizontal bar to indicate the duration of each event, these graphs make it easy to visualize how the transits, progressions, directions, and other events overlap in time. Graphic Ephemerides: Ebertin-style graphs of planetary motion give you an additional way to make sense of transits, progressions or directions. Making it immediately obvious how fast each planet is traveling, and in what direction, they vividly depict planetary stations and complexes or “knots” of aspects. You can do graphic ephemerides with or without a natal chart, and you can view them not only in longitude (in 360-, 30-, 45-degree or any other modulus) but also in latitude and declination. In Solar Fire you can move the cursor to see the exact date and zodiacal degree of any point on the graph. Even better, you are free to scroll these graphs forward and back in time as much as you wish without needing to return to the selection screen. 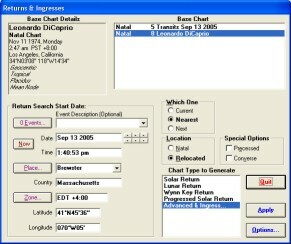 Custom Ephemeris Tables use state-of-the-art accuracy and go way beyond what you can get in books. 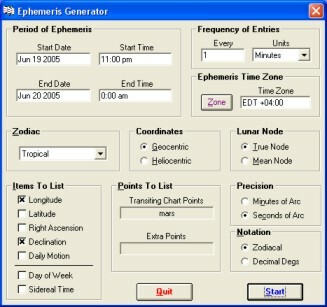 Over any timespan and in whatever time zone and time intervals you choose, you can generate your choice of longitude, latitude, right ascension, declination, and daily motion not only for planets, but also for the MC, Asc, Part of Fortune, midpoints, regular and extra asteroids, stars and hypothetical points. You can do these in geo or helio coordinates; in the tropical, draconic or any sidereal zodiac. Your printouts can also include the sidereal time and day of the week, and they can be precise to either minutes or seconds of arc. You can also generate ephemerides in decimal-degree format for export to spreadsheets and other applications. Life-Event Lists attached to the natal chart make it easy to store and organize a person’s whole life history and keep adding to it whenever you wish. Just click on the main screen’s Chart Preview window to enter the dates and times of these events. From then on, they stand ready for instant recall as transiting, progressed or directed charts. Life-event lists also enable you to jump to the time of these events instantly in the animated chart view. 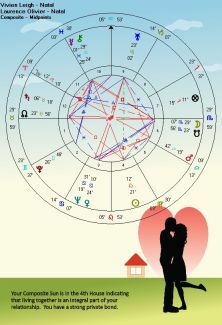 Solar Fire contains all of the features that you would like for your relationship astrology work – Synastry Grids and Interpretations, Composite Charts, and more. Composite Chart Art: 12 new Chart Art pages have been designed displaying key notes for the house location of the composite Sun. RELATIONSHIP COUNSELORS will be fascinated by what the multi-person composite charts (of up to 15 people) and four-chart dials reveal about groups. 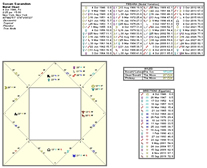 A synastry grid with orbs lets you quickly spot the issues. 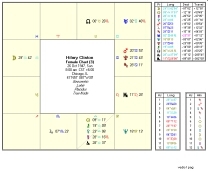 Or you can make a Synastry interpretations report. Ashtkoot Compatibility System The Ashtkoot Compatibility System is a system that has its roots in India and is primarily used in Vedic astrology. Vedic and Relationship Astrologers will love this simple calculation that compares two people’s charts and comes up with a compatibility score. Anything over 18 is a green light. Try your charts and see how you go. As Solar Fire’s own Neville Lang explains: “Ashtkoot” simply means “8 factor”. The scoring within this system is based on the position of the sidereal Moon (Lahiri) of the two people and the 8 factors are scored on the integration of these two Moon positions. The maximum score is 36. 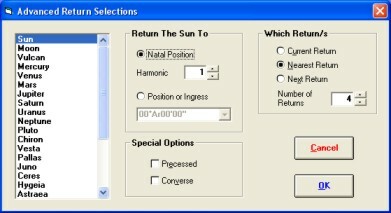 The implementation of this system in Solar Fire® allows a user to select two charts from either the chart files or ones that have been entered and if a zodiac used in those charts is one other than the Lahiri zodiac then Solar Fire® automatically converts the Moon position to the Lahiri (sidereal) position internally and the scores calculated. Neville Lang has studied about 100 couples over a 10 year period (still a small sample size) using the Ashtkoot Compatibility system he has come up with some tentative boundaries of the Total score. If you think about using traffic lights as a quick indicator then the Red light will represent scores of 40% of the maximum 36 (a score of 14.4) and lower, the Orange light will represent the range from 40% (14.5) to 69% (24.7), and the Green light will represent scores of 24.8 and higher. Basically, the Red light indicates a warning for the long term viability of the relationship, the Orange light means that is it “middling” and requires more analysis of the two individual charts while the Green light indicates a high degree of compatibility for the relationship to run for the long term. Traditional Astrologers will enjoy the growing body of features included to enable you to explore the ancient world of astrology. Solar Fire® traditionalists have a choice between a round chart wheel or a Traditional Square one. A round wheel can display the Decans and Terms while Traditional Square Charts are included in a dozen pages designed specifically for Classical Astrology. Traditional House Systems include Whole Signs, Alcabitius, Regiomontanus and other appropriate houses. Traditional Aspect Types include moieties and sign-to-sign aspects. In Solar Fire you can choose to use a Traditional Square Chart with Traditional Planets only and Sign-to-Sign Ptolemaic Aspects. Traditional Tables include complete Essential Dignity scores; the almuten (Ibn Ezra) and Essential Dignity (Ptolemy and Dorothean/Egyptian) total for each planet; mutual receptions (including by exaltation, triplicity, term and face); house almutens; chart hylegs (Ptolemy, Omar and Bonatti versions); planetary sect; tables of aspects to the Moon, fixed stars or Arabic parts; horary considerations; the chart’s planetary hour, day, and year; planetary hours for the entire day; and nearest lunar phases or eclipses. In addition, flexible lists of planets, stars and Arabic parts can include your choice of columns for house rulership, dispositor, dispositor’s house, antiscion, contra-antiscion, tropical and sidereal Arabic Lunar Mansion, Planetary Sect and other relevant information. Our unique Dignities Editor also enables you to explore the world of Classical Astrology with pre-designed almutens and dignities, as well as the ability to design your own. You can set the editor and produce your own set of ancient calculations from a simple Essential Dignities score to a more complicated Chart Almuten. 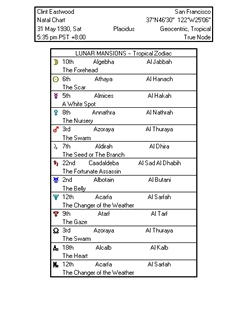 Traditional Planet Sets and Rulerships are available, plus unlimited user-definable Arabic parts (which include the traditional Part of Fortune and other Parts that differ for day and night births). The Arabic Parts Editor enables you to modify more than 100 pre-defined parts and also create new ones, each with its own name and abbreviation. The factors in the A+B-C formulas can be planets, house cusps, rulers, dispositors, other Parts, the prenatal lunation or any specified degree in the zodiac — and the formulas can differ for day and night births. You can create and store different sets of Arabic parts for different uses. A Rulership Editor also enables you modify the included Modern, Traditional, Esoteric and Hierarchical rulership schemes or create new ones. There are also Fixed Stars, including a set of the 31 stars described by Ptolemy. 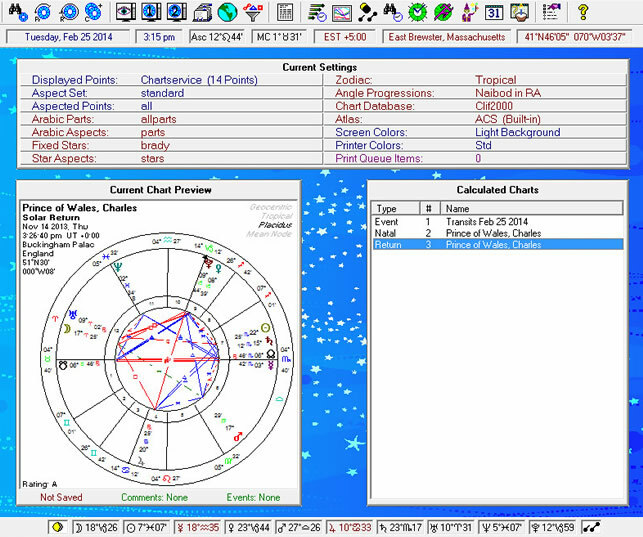 Likewise, the Fixed Star Editor lets you add traditional star meanings to those already in the program. Needless to say, there’s also a horary page with full Lilly-style dignities, almutens of houses, planetary hours, and the day or night Part of Fortune. Traditional Predictive Techniques include Firdaria (Schoener and nodal variation types), annual profections, Directions by Egyptian or Ptolemaic terms, and Primary Directions (Ptolemy degree-for-a-year, Naibod, and natal solar rates as well as modern Van Dam primaries). You will also find Firdaria interpretations written by Stephanie Johnson. These can be produced for the current period, the current, previous and last, or for a lifetime. Chart and Electional Searches will find charts and time periods that have any of 7 horary considerations — Sun above the horizon, Asc near a sign boundary, and Moon void (by standard or Lilly method), waxing, fast or in the Via Combusta. These search features can also find charts where a given planet, cusp or other point (or its ruler, almuten, antiscion or contra-antiscion) is in any of 20 specified types of dignity. In addition, they can do things like finding charts where a planet, point or cusp (or its ruler, almuten, etc.) is a given planet, or is in a given sign or house, or is in a given aspect to any other point or specified degree. Solar Fire also contains a Temperament tabulation. This Temperament tabulation can be done for any chart. and contains the four temperaments weighted according to Lilly – Choleric, Sanguine, Melancholic, Phlegmatic. Those who love Hellenistic Astrology will be delighted with the addition of the ability to calculate Zodiacal Releasing, an ancient timing technique that is derived from the work of the 2nd century astrologer Vettius Valens. Thanks to Astrologer Chris Brennan Solar Fire® now calculates this important Time Lord system. Expert astrologers can now enjoy our revised and expanded range of Primary Directions reports available through the Dynamic Reports feature. Solar Fire® now has “Primary Zodiacal” directions as well as revamped “Primary Mundane” directions. Previously, Solar Fire computed Primary Directions according to the semi-arc technique promoted by Placidus. Solar Fire® now allows you to choose between Placidus’ semi-arc projections and Regiomontanus’ preferred projections based on hour circles to determine mundane position. 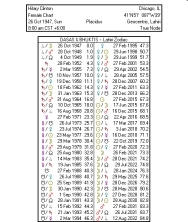 You may also notice that Solar Fire now computes Primary Directions to Radix much faster and enables several more “rate keys” available in the Preferences / Settings / “Progs/Dirns” tab including Cardan’s key (59 degrees 12 minutes), Placidus’ key (based on the true solar arc in Right Ascension), Solar Birthday Longitude (similar to Kepler’s key, but longitude instead of right ascension) and User-determined rate. Solar Fire has also added an option for the Classical Converse or the Modern Converse methods. ESOTERIC ASTROLOGERS can work with esoteric and hierarchical rulerships, ray interpretations, and the esoterically important hypothetical planet Vulcan. Solar Fire® includes both the Douglas Baker and LH Weston calculations for Vulcan. Solar Fire® enables esoteric astrologers to include the heliocentric position of the planet Earth on geocentric charts. You can also explore other esoterically important planetary bodies including Sigma, Morya, Pan, Isis, Hermes, Osiris, Midas and Lion. You can display graphs of ray distributions of the planetary placements by sign using either weighted or unweighted planets. You can also display planet and sign colors based on the esoteric ray through the signs and planets. Solar Fire enables you to select esoteric aspects such as the Quintile, Septile, Novile and more. You can calculate 18 kinds of prenatal charts, including E H Bailey and Charles Jayne-type charts for conception and quickening. You may also enjoy displaying your birth charts using the beautiful designs of Esoteric Astrologer Eila Laurikainen and other artists. COSMOBIOLOGISTS, SYMMETRICAL AND URANIAN ASTROLOGERS will love the Cosmobiology Dials in Solar Fire complete with pointers, as well as the ability to do transits to midpoints and watch the midpoints transiting. You can also do midpoint sorts, lists and trees in any modulus, and can include the Aries Point along with Uranian planets. You can also adapt the Arabic Parts Editor to do Uranian A+B-C pictures. The Dials, which you can customize, can hold 1 to 4 charts and are fully functional in both the static and the animated chart views. Writers and editors can easily send both graphics and text to word processing and DTP programs. Wheels and aspectarians come out beautifully sharp as Windows Metafiles, and keep their clarity at any size. Listings and interpretations come out as text, which you can edit and format just like any other text. 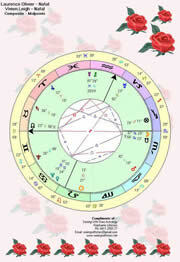 These include natal charts, transits, progressions, firdaria and synastry reports. Professionals can send some or all of the 20-odd pages of interpretations on each chart to a word processor as a starting point for an individualized written interpretation. They can also rewrite the text database itself. Novices will find the point-and-click and hit list interpretations a delightful way to learn. Midpoints: There are midpoint trees and lists of midpoint axis structures; midpoint lists sorted by planet, modulus or mode; and Munkasey Midpoint Weighting Analysis tables that show which midpoints are the most active. You can also include selected midpoints in the extra-points ring of wheels and dials. 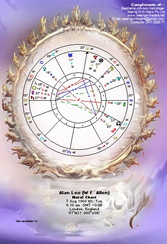 You can also find Midpoint Interpretations written by UK Astrologer Julian Venables. 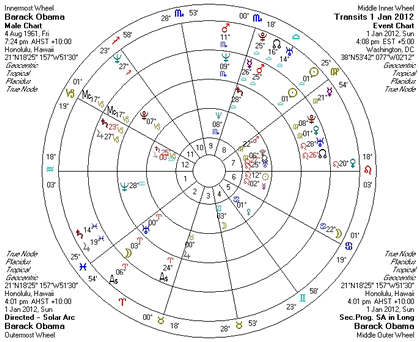 For forecasting with midpoints, Solar Fire’s dynamic hitlists, time map graphs and Ebertin-style graphic ephemerides can all include not only natal but also transiting, progressed and directed midpoints. In addition, you can generate table-style ephemerides that show the positions of transiting midpoints at regular intervals. Arc Directions: In directed charts, hitlists, time maps and graphic ephemerides, you can do solar arc and other directions by forward or reverse whole, half or double arcs. In addition, you can use solar-arc-directed graphic ephemerides to create Cosmobiology “life diagrams”. Graphic Modulus Sort Strips are like linear dials. They let you see at a glance how the chart points relate to each other in various harmonics. You can create sort strips in any modulus (for example 360-, 30-, 45- 72- and 90-degree) and arrange strips for different moduli on the same page. Planetary Pictures: Solar Fire’s Arabic Parts Editor enables you to create unlimited Uranian A+B-C combinations to appear as sensitive points in wheels and tables. Sorted Difference Listings of all pairs of points in a chart are a simple and elegant way to see both midpoint axes and planetary pictures. They sort the near and far arcs between every planetary pair in order of arc size. Pairs with nearly the same arc are on the same midpoint axis — which means that they form a planetary picture. 8 Uranian Planets plus the Aries Point. Ebertin-Style Medical Degree Meanings available by clicking on any degree in the chart wheel or by selecting Degrees in the natal interpretation report. Watch the celestial sphere appear before your very eyes. Solar Fire’s Planetarium is a unique method to rediscover the ancient realm of the Fixed Stars. It also includes the text for 50 stars by Bernadette Brady, author of Brady’s Book of Fixed Stars, and co-author of JigSaw, the astrology program for rectification, research and family patterns. 290 Major Stars are included, with coordinates, magnitude, spectral class, and in many cases keywords and interpretations. Plus, it’s easy to enter info for additional stars. You can also add black holes, quasars, etc. If you are not satisfied with Solar Fire’s Planetarium you can link to an internet Stellarium via the Solar Fire® menu. The Fixed Stars Editor enables you to enter data for additional stars or deep-space objects, sort them in various ways, print out star tables, find their positions in eras remote from our own, and create special sets of stars for different uses. You could even use the Fixed Stars Editor to enter the day-by-day positions of a comet (which you could then display in the Planetarium View, with or without the planets of a natal chart). The Planetarium View enables you to view the starry sphere either by itself or with a chart’s planets overlaid. This shows the true spatial relation of stars to a chart. You can click on a star (or on the planet nearest to it) to see the star’s name, constellation, catalog number, coordinates, magnitude, spectral class, and in many cases, its meaning. 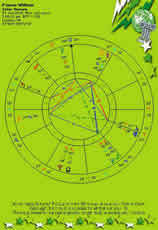 Also shown are the star’s rise/set/culminate/anticulminate times for the date and place of the birth chart. These can provide a clue as to whether the star is making parans with other bodies in the chart. Star Interpretations are available for 50 of the most prominent stars, you can point and click in the planetarium to see a carefully thought-out modern interpretation by star expert Bernadette Brady. Brief traditional designations are also given for the set of 31 stars mentioned by Ptolemy. Stars in Chart Wheels and Pages: Special extra-points rings enable you to embellish chart wheels with whatever stars you wish, and next to the chart wheels you can place flexible extra-points lists that give a key to the stars’ abbreviations and show their coordinates and other data that you think is relevant. 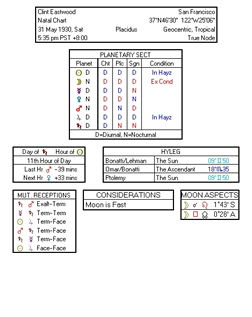 Solar Fire V9 now has 92 minor planet glyphs for display on your chart. Some of these beautifully designed glyphs have been supplied by Asteroid expert Roderick Kidston, and others by Minor Planet researcher Zane B Stein, who both reside in Australia. Some of the glyphs are in common usage and where there are no glyphs for some asteroids, Solar Fire uses Roderick’s glyphs. There are glyphs for these asteroids: Abundantia, Aditi, Adonis, Adorea, America, Amor, Amphitrite, Amun, Anubis, Apollo, Arachne, Asbolus, Astraea, Aten, Atlantis, Atropos, Bacchus, Circe, Cupido, Damocles, Demeter, Diana, Eros, Europa, Fama, Flora, Fortuna, Frigga, Gaea, Ganesa, Ganymede, Gilgamesh, Gratia, Harmonia, Hathor, Hebe, Hekate, Hephaistos, Heracles, Herculina, Hidalgo, Hopi, Horus, Hygeia, Icarus, Imhotep, Iris, Isis, Jubilatrix, Kassandra, Kleopatra, Klotho, Lachesis, Lilith, Medea, Midas, Moira, Neith, Nemesis, Nephthys, Orpheus, Osiris, Panacea, Pandora, Parvati, Persephone, Pomona, Proserpina, Psyche, Ptah, Pythia, Sappho, Sekhmet, Seraphina, Siva, Toro, Tyche, Urania; glyphs for the Centaurs – Chariklo, Cyllarus, Echeculus, Elatus, Hylonome, Nessus, Okyrhoe, Pholus; and glyphs for Minor Planets out past Pluto: Haumea, MakeMake, Orcus, Quaoar and Varuna. You can select various Minor Planets/Asteroids and their glyphs for display in your Chart Wheel or you can select all 92 bodies that have glyphs within the Extra Ring. You can also add up to 50 astrological points to the main Solar Fire® wheel. Over the years, many of you have asked whether or not you could add asteroids, fixed stars, Arabic parts, midpoints and various other points onto the main wheel of Solar Fire® instead of using the Extra Ring. In response to these requests, a new feature now allows for up to 50 user-defined points to appear on the main wheel along with Sun, Moon, Mercury, and so on. Now you can add up to 50 points such as your favorite Asteroids. Or, and in addition to the Asteroid Glyphs, there are now glyphs for two other points you can add as extra points, the Galactic Center and the Super Galactic Center. Solar Fire® traditionally included Ceres, Pallas, Juno, Vesta, Hygeia, Astraea and Chiron (for those who call Chiron an Asteroid, although it is officially defined as a Centaur) in the standard point set. Positions for Ceres, Pallas, Juno, Vesta and Chiron, from the Swiss Ephemeris, extend from 5401 BC to 5399 AD and have a likely accuracy to a few arc minutes in 3000 BC. These bodies have their own glyphs, and you can include them in virtually every part of the program, including the regular wheel rings and tables, dynamic hitlists, astro-mapping and planetarium views, and the new chart and electional searches. Asteroid interpretations include both natal and transiting sign and house interps for all 7 bodies, plus natal, transiting and synastry aspect interps for Chiron. 1,081 Extra Asteroids and minor planets are also supplied with Solar Fire. Besides bodies in the asteroid belt, these include the Centaurs and newly discovered transneptunian objects like Quaoar and Sedna. Positions are from the Swiss Ephemeris and extend from 1500 to 2100 AD. You can add ephemerides for more centuries and more asteroids from any source that is in Swiss Ephemeris or pre-2003 Pottenger format. Solar Maps v5 combines simple yet elegant programming with cutting-edge astrological techniques. 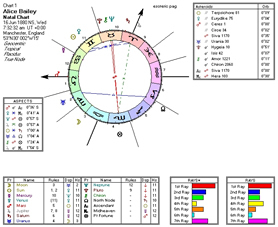 The result is the easiest and most useful astrological mapping program on the market. Find the best locales for work, love, or the perfect vacation and use the mundane features to know where significant events are likely to occur. View the interpretations on the screen or print out a relocation report. This software is ideal for your own personal use, for mundane work and for enhancing your client work. Creative programming gives Solar Maps ultra-clear graphic displays and easy Windows operation putting the fun and ease back into following yourself around the world. Everything is accessible through clear and simple Windows screens and menus. It also has context-sensitive online help and an illustrated, indexed manual of more than 100 pages. 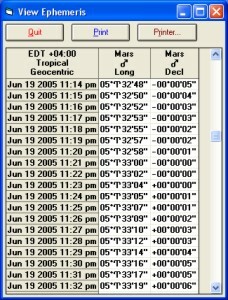 ASTRO-LINES: You can select any combination of the following lines to be displayed on any map: planet on MC; planet on IC; planet rising or on Asc; planet setting or on Dsc; all paran lines, paran lines of any one planet in combination with all others or your own customized set of paran lines; planet directions; local horizon; local houses; ecliptic; zodiacal signs; total solar eclipse line; partial solar eclipse lines. Now in version 5 you can select aspect lines or midpoint lines as well. 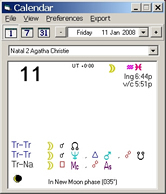 All planet line types may also be used for any selected fixed stars. INTERPRETATIONS: These easy-to-read interpretations may be viewed as a report by clicking on a location. You click on the interpretations mouse mode button and then point to a symbol plotted over or around the map and click for an interpretations report to appear. This includes an introduction to Astro-mapping with interpretations for the following: planet on MC/IC/Asc/Dsc; planets in paran; planet direction lines. You can also read individual interpretations by double clicking on a line of any data-listing report. All of the supplied text is editable with an included utility program. The text has been written by Esoteric Technologies co-director and astrologer Stephanie Johnson. MAPS: A selection of more than 100 pre-defined standard maps is supplied. You can create and save as many new maps as you wish for any region of the world. You can select and adjust the required map region by zooming and panning. Map land and sea colors are fully customizable. You can select and adjust which city and country names are plotted on maps. Click and point to measure distances or angles on any map. Click on any spot on the map and instantly see a relocated chart for that place. You can view the world map in rectangular or Mercator view, or as a sphere. You can now zoom in to much greater precision of coastlines and lakes PLUS an enhanced process of navigating maps. TRACKING: This feature allows you to study geographical hot spots with Solar Maps. The program comes with a database installed of Atlantic hurricanes from 1851 to 2002 and with the capability to download additional hurricanes from the UniSys web pages. This same system can be used for graphing the locations of earthquakes (or fault lines), volcanoes, or the tornadoes of a particular season. ECLIPSES: You can select any solar eclipse (partial or total)from 1801AD to 2200AD, and display its path across the earth on any map. 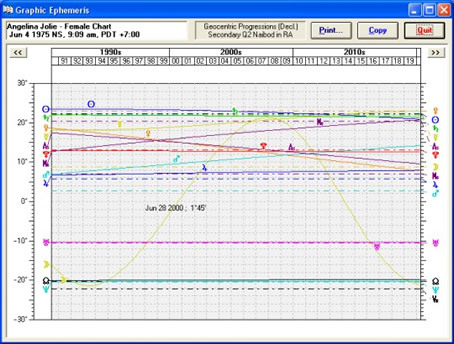 Eclipse paths may be overlaid on top of astro-lines for any chart. STARS: You can select up to 36 stars to be displayed along with, or instead of, planets. 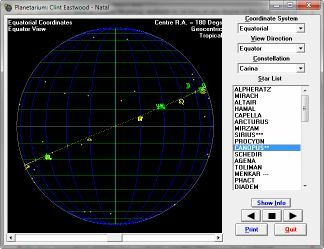 A supplied fixed star editor allows you to enter data for any celestial objects of your choice. REPORTS: For any chart, the following data listings may be viewed: parans interspersed with city names for the current map region; parans interspersed with city names near the latitude of the chart location; cities conjunct or opposite planet lines for the current chart. A one to three-page formatted printable report of interpretive text may also be generated for the relocation of any chart to any location on earth. This includes the following sections: planets which are near angles; conjunction with planet direction lines; paran lines around the latitude of relocation. ZODIAC TYPES: Celestial zodiac (for normal charts); geodetic zodiac (for mundane charts) with user-definable starting longitude. HOUSE SYSTEMS: Campanus, Koch, Meridian, Morinus, Placidus, Porphyry, Regiomontanus, Topocentric. CHART POINTS: Sun, Moon, Mercury, Venus, Mars, Jupiter, Saturn, Uranus, Neptune, Pluto, Moon’s Nodes (mean or true), Chiron, Vesta, Pallas, Juno, Ceres, Hygeia, Astraea, Vulcan, Transpluto, Transneptunians, Black Moon Lilith (mean position). Charts may be calculated for any date from 5401 BCE to 5399 CE. All planetary positions are calculated using the Swiss Ephemeris, which is at least as accurate as the Astronomical Almanac, the standard planetary and lunar tables astronomers refer to. You may select any combination of the above points for display on maps or in chart wheels. You may customize the colors used for each chart point. Solar Fire’s Maps makes it possible to use all of the following methods of geographical astrology, with a view to helping astrologers to explore the world of planetary energies as they relate to humans and events in different places in the world. GEODETIC (MUNDANE) CHARTS: Several mundane astrologers of note, such as Sepharial and Johndro, have developed a different astro-locality mapping technique, which uses a symbolic projection of the zodiacal signs onto bands of longitude around the Earth. Typically the 0† Aries point is projected onto the Greenwich meridian (0° of longitude), and the sign divisions fall every 30† around the equator. This projection method is often used in the astrology of national and international politics and events, using charts of nations and cities and is available in Solar Maps v5. TRANSITS, PROGRESSIONS & SOLAR ARC DIRECTIONS: In addition to viewing the planetary lines of a natal chart over a map, a technique that can be used is to view the planetary lines of progressions or transits or solar arc directions to that natal chart. As these charts vary with time (i.e. they are dynamic), it is possible to use this technique as a predictive tool by looking at how planetary lines change over a period of time. This technique is a feature of Solar Maps version 5. LOCAL SPACE ASTROLOGY: Local Space Astrology uses a measurement system based on the local horizon and meridian, and was pioneered by Michael Erlewine. While the positions of the planets, as measured in right ascension and declination, or celestial latitude and longitude, remain almost constant regardless of the observer’s location, measurements of planets’ azimuth and altitude change dramatically according to where on Earth they are observed from. The azimuths of the planets can be plotted, viewed and printed as a local horizon chart in Solar Maps v5. The same technique can also be used on maps of large areas. ANIMATION: You can step or run a chart through time while your astro-mapping lines are displayed on any map of the world. You can animate any type of chart, either natal or subsidiary (transits to natal, secondary progressed, tertiary progressed and solar arc directed). To view the general movement of transiting planets and astro-lines through time to familiarise yourself with the typical speeds and patterns of movement of the planets and astro-lines. To view the movement of transiting planets and astro-lines through a particular period of time to determine when certain mundane astrological events occur. 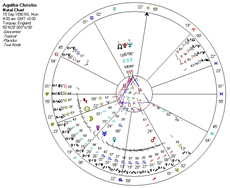 To view the movement of a person’s subsidiary chart planets and astro-lines through a particular period of time to determine when certain astrological events occur in relation to the natal chart. To view the movement of the day/night boundary during the course of the day to determine the times of sunrise and sunset at various locations. To make adjustments to (i.e. rectify) a natal chart, by stepping the chart through times close to the probable birth time, and noting when various astro-line contacts occur on the map. VEDIC ASTROLOGERS can enjoy the North Indian and South Indian square charts, dasas, bhuktis, Whole Sign and Hindu Bhava Houses (Sri Pati), Lahiri, Krishnamurti and other ayanamsas. 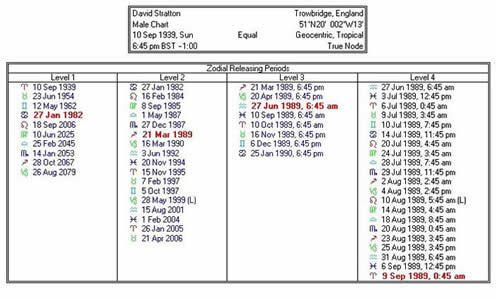 It is also possible to cast various Vedic divisional charts and to view the Nakshatras (Vedic lunar divisions) in the Solar Fire® tabulations which show the Nakshatras for the current chart according to the default sidereal zodiac. The names and types of the mansions are given, as well as a few keywords describing the attributes of each mansion. 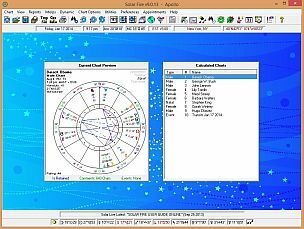 Dasas for Natal Charts: Solar Fire V9 contains two pages that can be displayed showing the Dasas for a natal chart. A major dasa cycle runs for 120 years and it is further sub-divided into sub-dasas also known as bhuktis. 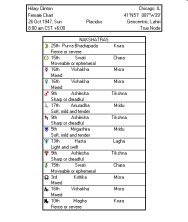 If you open a natal chart and use a Vedic zodiac, like Lahiri, you can now display the dasa periods for that natal chart. Ashtkoot Compatibility System: The Ashtkoot Compatibility System is a system that has its roots in India and is primarily used in Vedic astrology. Vedic and Relationship Astrologers will love this simple calculation that compares two people’s charts and comes up with a compatibility score. Anything over 18 is a green light. Try your charts and see how you go. As Solar Fire’s own Neville Lang explains: “Ashtkoot” simply means “8 factor”. The scoring within this system is based on the position of the sidereal Moon (Lahiri) of the two people and the 8 factors are scored on the integration of these two Moon positions. The maximum score is 36. 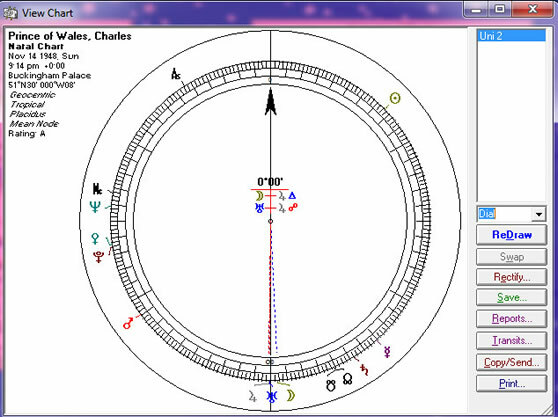 The implementation of this system in Solar Fire V9 allows a user to select two charts from either the chart files or ones that have been entered and if a zodiac used in those charts is one other than the Lahiri zodiac then Solar Fire V9 automatically converts the Moon position to the Lahiri (sidereal) position internally and the scores calculated. Neville Lang has studied about 100 couples over a 10 year period (still a small sample size) using the Ashtkoot Compatibility system he has come up with some tentative boundaries of the Total score. If you think about using traffic lights as a quick indicator then the Red light will represent scores of 40% of the maximum 36 (a score of 14.4) and lower, the Orange light will represent the range from 40% (14.5) to 69% (24.7), and the Green light will represent scores of 24.8 and higher. Basically, the Red light indicates a warning for the long term viability of the relationship, the Orange light means that is it “middling” and requires more analysis of the two individual charts while the Green light indicates a high degree of compatibility for the relationship to run for the long term. Wheels: We have now added new Vedic Wheel styles including Nakshatra Simple and Nakshatra With Signs. Astrology has been used for many purposes over the centuries, but one use of astrology that is not so commonly known about is assistance with financial forecasts and decisions. The astrological tools employed are taken from the same common toolset used with natal and electional astrology, but the interpretation of the astrological data is applied to financial realities and concerns. 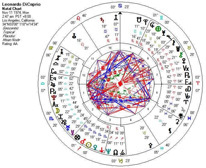 And as is the case with all of astrology, this use of astrology is based on empirical evidence gathered over a long period of time – astrological events corresponding to events in financial markets. Financial astrology has been used, among other things, to predict major events in financial markets, to choose stocks, to time trades in financial instruments, and to analyze industry performance & movements in a stock market. The Company (Incorporation) chart is the fundamental indicator of the business – its overall characteristics, it’s strengths and weaknesses, its interests and its type of modus operandi. The First Trade chart may have varying significance, but it will certainly reflect how the company’s stock traded on that day, and to some extent may portray the stock’s trading nature and characteristics from that point onwards. Solar Fire’s Calendar can be useful for following planetary daily aspects and exact times of culmination (Intraday Traders). You can also use Solar Fire’s Real Time Clock to watch planets rise, culminate and set as you trade (Intraday Traders). You may also choose to use the Moon and Lunar Phases which many consider important in financial astrology. Overall, studies and statistics show that the waxing phase of the cycle is more bullish compared to the bearish waning phase – each stock, however, has an inherent natal lunar cycle. The Lunar Phases page object may be useful to use on a chart page. You can also view similar lunar phase data on a chart Report Tabulation. 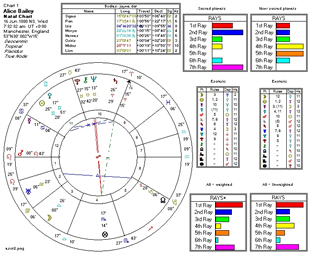 Additionally you can cast all kinds of lunar phase and return charts for a company. WD Gann was a finance trader who developed the technical financial analysis tools known as Gann angles, Square of 9, Hexagon, Circle of 360. One of his techniques utilized Planetary Returns which you can easily cast in our software. It may be useful to keep an eye on the declinations of the transiting planets. You can view a Declination Strip object and Tabulations on a Reports page, or use the Graphic Ephemeris with Declination as the coordinate you are interested in using on the graph. 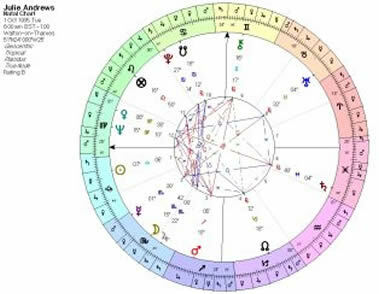 You can search through charts for almost any astrological signature. Solar Fire also provides the ability to change from Geocentric to Heliocentric charts and graphs. In the latest Version 9 you can do this by a simple toggle change on the toolbar. 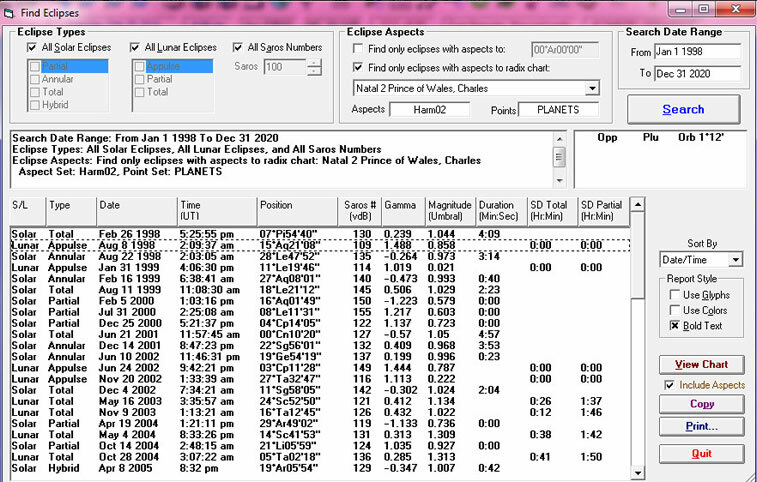 You can also generate your own geocentric or heliocentric Ephemeris, then export the ephemeris as an Excel file. 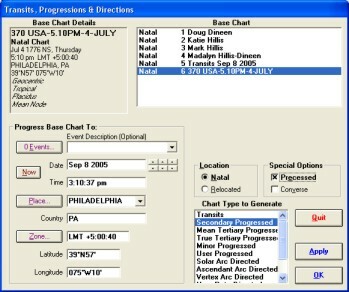 You can view Eclipses and the various Saros cycles and can switch on eclipses for any Dynamic Report, include eclipse points in an Extra Ring Points file for use around a Natal or Event Chart, or in a User Defined Points file for use alongside the normal Displayed Points in a chart. You can also view eclipse data in a chart’s Report Tabulations in the “Phases/Eclipses” tabulation. Once you have purchased Solar Fire you will find more detailed help available from within the program. Financial astrologers now have the ability to import .csv financial data into Solar Fire and display this on the Graphic Ephemeris. This new feature is activated by a new “Import Financial Data” button in the Graphic Ephemeris Selection screen. When clicked, it launches a browser entitled “Select the CSV file containing your data”. You can then can select one file or cancel. When you select a file, Solar Fire® does some initial analysis to verify that it can make sense of the data contained within. If Solar Fire can then you have the options of selecting or de-selecting columns of data to display in the ephemeris by clicking on them, using the “Pick the Date Column” button to pick a column with date information (usually it detects the first one with dates), choose a range of rows to use (these numbers default to all the rows in the file), base the minimum and maximum of the graphing on all columns, or on a particular data column, display the vertical scale option (this defaults to checked, and means that there will be numbers from the financial data posted next to the angles on the Graphic Ephemeris). Clicking “Import” sets this data to be used whenever the ephemeris is displayed. You are then returned to the Graphic Ephemeris Selection screen, and can click “View” to see the ephemeris. The financial data’s scale is shown on the left – from 33 at the 40-degree line up to 126 at the 0-degree line. Nothing about this process actually requires that the spreadsheet data be financial in nature. Anything you can put in a spreadsheet over time is available for this feature; some users have mapped their weight over time, or their children’s height. WHAT’S NEW IN SOLAR FIRE V9? Solar Returns Interpretations: The latest Solar Fire v9 now contains a brief interpretations report for Solar Returns. This report written by Stephanie Johnson evaluates and interprets the major themes for the forthcoming birthday year. It includes the Planets in the Houses and Signs (and the Aspects to the Sun). 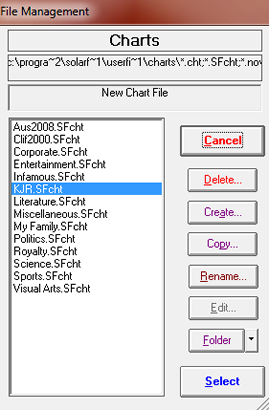 Chart File Merging: Solar Fire® now provides a way for users to merge their chart files. This is especially useful if you’ve been working on multiple computers. You may find that you’ve added some charts on one machine and added others on the other, and want to bring them back into a single file you can use on both machines. Lunar Gardening: Solar Fire’s calendar has been revised to include gardening recommendations based on the phases and signs of the Moon. 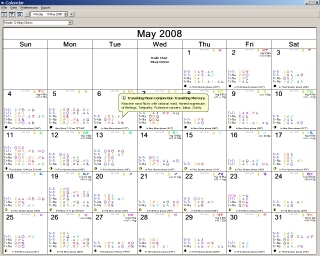 This information is placed in the top center of each calendar day, in green text. This feature is turned on in calendar Settings, with the “Show Gardening Times” checkbox. The actual days of the New Moon and Full Moon are considered poor days for any gardening activity, and more appropriate for ceremony. The Third Quarter phase of the moon (from third quarter to full) is considered poor for planting, but good for garden maintenance such as weeding or harvesting. The other phases of the moon are good for planting and transplanting, and the type of planting that is most suitable is based on the sign the moon is in. Water signs are good for leafy vegetables, Earth signs for root crops, Air signs for flowers, and Fire signs for vegetables or fruits with internal seeds. (This is in line with Rudolf Steiner’s approach to Biodynamic agriculture.) Note that the advice is provided based on the position of the moon at noon; please observe the actual time of ingress of the moon from one sign to the next for more specific planting timing. Chart Data: Every time we upgrade our Solar Fire® versions we add extra Chart Data for you. This data is provided by professionals and lives up to the high standard set by our late colleague Lois Rodden. Version 9 has 500 extra charts of famous people added to our Chart Files plus an extra file specifically for those of you who have an interest in Horse Racing. Zodiacal Releasing: Those who love Hellenistic Astrology will be delighted with the addition of the ability to calculate Zodiacal Releasing, an ancient timing technique that is derived from the work of the 2nd century astrologer Vettius Valens. Thanks to Astrologer Chris Brennan, Solar Fire® now calculates this important Time Lord system. Zodiacal Releasing is used in order to divide a person’s life into broad spans of time or chapters, with each chapter activating a specific sign of the zodiac and a specific planet. Once these periods are determined, the technique can be used to identify periods of heightened activity or importance relative to certain topics, such as one’s career or relationships. The technique also provides information about which periods of a person’s life will tend to be either more easy or difficult relative to those topics. Solar Fire V9 also now includes the Whole Sign (Part of Fortune) House system. 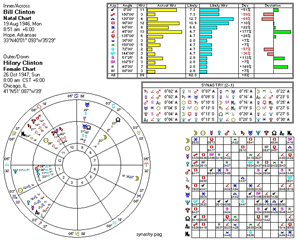 Expert astrologers can now enjoy our revised and expanded the range of Primary Directions reports available through the Dynamic Reports feature. 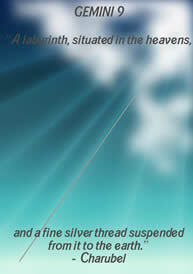 Solar Fire® now has “Primary Zodiacal” directions as well as revamped “Primary Mundane”. Previously, Solar Fire computed Primary Directions according to the semi-arc technique promoted by Placidus. Solar Fire® now allows you to choose between Placidus’ semi-arc projections and Regiomontanus’ preferred projections based on hour circles to determine mundane position. Solar Fire® now computes Primary Directions to Radix much faster and enables several more “rate keys” available in the Preferences / Settings / “Progs/Dirns” tab including Cardan’s key (59 degrees 12 minutes), Placidus’ key (based on the true solar arc in Right Ascension), Solar Birthday Longitude (similar to Kepler’s key, but longitude instead of right ascension), and User-determined rate. Solar Fire has also added an option for the Classical Converse or the Modern Converse methods. These are two different approaches to computing converse Primary Directions. The Classical converse is computed by switching the two points being compared, while the Modern converse (in use since the 19th century) is computed by reversing primary motion. Financial Data Import: Financial astrologers now have the ability to import .csv financial data into Solar Fire and display this on the Graphic Ephemeris. This new feature is activated by a new “Import Financial Data” button in the Graphic Ephemeris Selection screen. When clicked, it launches a browser entitled “Select the CSV file containing your data”. You can then can select one file or cancel. When you select a file, Solar Fire does some initial analysis to verify that it can make sense of the data contained within. If Solar Fire® can then you have the options of selecting or de-selecting columns of data to display in the ephemeris by clicking on them, using the “Pick the Date Column” button to pick a column with date information (usually it detects the first one with dates), choose a range of rows to use (these numbers default to all the rows in the file), base the minimum and maximum of the graphing on all columns, or on a particular data column, display the vertical scale option (this defaults to checked, and means that there will be numbers from the financial data posted next to the angles on the Graphic Ephemeris). Clicking “Import” sets this data to be used whenever the ephemeris is displayed. You are then returned to the Graphic Ephemeris Selection screen, and can click “View” to see the ephemeris. The financial data’s scale is shown on the left – from 33 at the 40-degree line up to 126 at the 0-degree line. Nothing about this process actually requires that the spreadsheet data be financial in nature. Anything you can put in a spreadsheet over time is available for this feature; some users have mapped their weight over time, or their children’s height. Email Support: In previous versions Solar Fire® enabled emailing of charts via MAPI email software such as Outlook. In Version 9 Solar Fire® now supports other email addresses. In other words, if you have a Gmail, Hotmail or Yahoo email address you can now directly email charts from Solar Fire®. Solar Maps Parans: In previous versions you could display the Parans of a planet on your map. Now in the latest Solar Maps you can pick and choose the Parans that you would like to display. Not only that but you can click on the Paran line once it is displayed to turn it off. Charubel Degrees: Solar Fire® now features a new Degrees Interpretation file for your research purposes. Charubel is the professional name for Welsh occultist, clairvoyant and healer John Thomas. First published in the 1890s these degree interpretations are extremely fatalistic. Many of the degrees have dire interpretations and these should be used for academic purposes, not for clients. Since Charubel wrote his degree interpretations astrology, and the world in general, has changed and grown. In the light of the modern day his degrees are harsh. Nevertheless there is astrological information to be gleaned from his insights. Thus the creators of Solar Fire® thank the publishers of the book The Degrees of the Zodiac Symbolised for giving their blessing on the inclusion of these writings in our software. Chart Data: Each version of Solar Fire® adds more and more Chart Data of famous people for your interest, research and work. This version sees hundreds of extra charts. We have also included a Horse Racing Chart Data File with 100 charts of horses, trainers, owners, jockeys, etc. Dials, Wheels and Page Styles:Solar Fire v9 now has dozens of new Dial styles for single, bi, tri and quadri dials. Nodal Opposition: Traditionally Solar Fire® has not included the Nodal Opposition. In response to some astrologers’ requests we have now included this as an option under Chart Options. ACS Atlas: Each version of Solar Fire® is updated with the latest time zone and place information made available in the ACS Atlas. Solar Fire v9 now has these latest changes. You can also edit your ACS Atlas information to update yourself whenever a country changes its time zones. Windows 8 enhancements:Solar Fire v9 now uses a new “ET Asteroid 1a” font (with exciting new glyphs for Salacia, Galactic Center, etc), and your point files will be automatically updated as needed. Whole Sign (Part of Fortune) House System; Chris Brennan, who is an expert in Hellenistic astrology, states that “the Part of Fortune was originally used as an alternate Ascendant, which created a set of derivative Whole Sign houses from the sign of Fortune.” Based on his instructions, Solar Fire® now includes a new house system option which combines whole sign houses with the traditional method of turning the chart in order to use the Part of Fortune as the Ascendant. Geocentric/Heliocentric Toggle: Solar Fire v9 now features a simple toggle feature on the toolbar. You can add this feature to the toolbar and then easily toggle between geocentric and heliocentric charts. Solar Fire v9 now uses a new “ET Asteroid 1a” font (with exciting new glyphs for Salacia, Galactic Center, etc), and your point files will be automatically updated as needed. We also have added the Quindecile glyph – Johndro style. Eclipse Search: We have improved the Eclipse Search and Print features in Solar Fire®. In the mapping section you can now save the current map as a JPG (in addition to BMP or GIF). Solar Maps 5, included in Solar Fire v9, now has improved navigation. Solar Maps now also supports the full Solar Fire® displayed point set, including Eris, Sedna, and Selena. Those who love Relocation Astrology are sure to like the improvement of clicking on a point in “Relocate” mode which will automatically display the relocated chart.